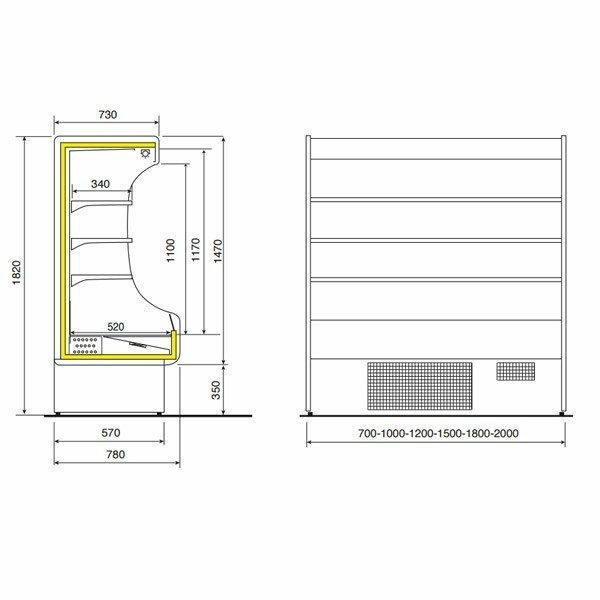 ARTIC is a refrigerated wall cabinet for self service sale, created for small and medium size shops, ideal for promotional sales for displaying: pre-packaged food products, dairy products, sausages, fruit and vegetables, soft drinks. This model has 3 shelves in stainless steel AISI 304 with a depth of 34 cm. that are not inclinable but can only be adjusted in height (except only for the length of 200 cm. that has inclinable shelves) and are equipped with price-holder. The wall-cabinet is also equipped with lighting only on the top, automatic defrosting and an automatic evaporation of the defrost water. Perforated back wall in stainless steel 304. 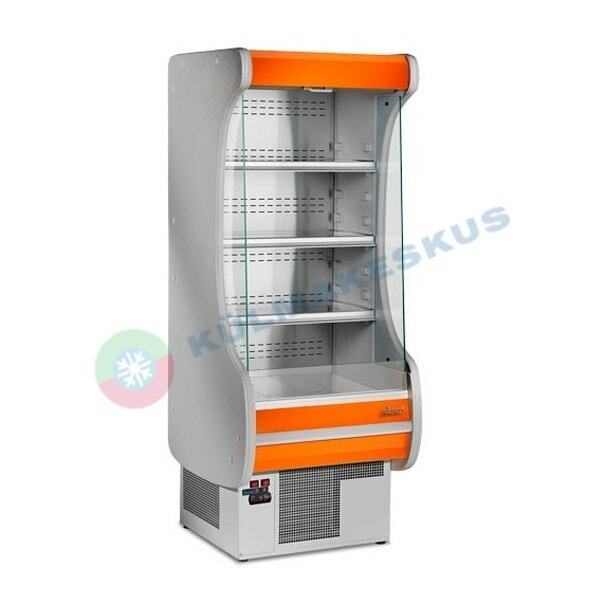 Külmriiul ARTIC, 0.7 m is a refrigerated wall cabinet for self service sale, created for small and medium size shops. 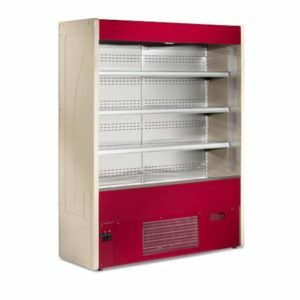 Ideal for promotional sales for displaying: pre-packaged food products, dairy products, sausages, fruit and vegetables, soft drinks. 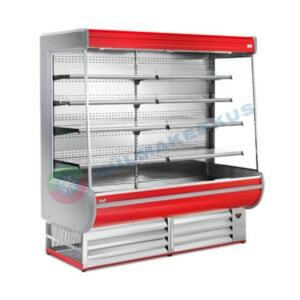 This model has 3 shelves in stainless steel AISI 304 with a depth of 34 cm. that are not inclinable but can only be adjusted in height (except only for the length of 200 cm. that has inclinable shelves) and are equipped with price-holder. The wall-cabinet is also equipped with lighting only on the top, automatic defrosting and an automatic evaporation of the defrost water. Perforated back wall in stainless steel 304. 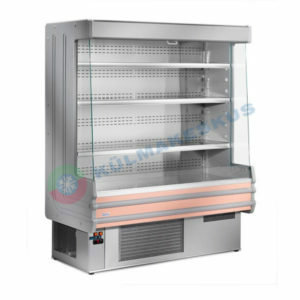 – suitable for pre-packed fresh foods: dairy product, delicatessen, with the lower display surface (depth 745 mm) and 4 removable upper shelves (depth 2×340 and 2×510 mm) of stainless steel AISI 304. With its wide panoramic end panels it gives an optimal visibility of the products. Upper internal lighting. Only on request it can be multiplexed. EXPORY is also available with inside or remote condensing unit. Automatic defrost and electric evaporation of defrost water. BREEZE on külmriiul, iseteenindus kaupade müügiks, ideaalne pakendatud piimatoodete, vorstide, puu-ja köögivilja ning karastusjookide eksponeerimiseks. Külmriiulil on 4 roostevabast terasest AISI 304 riiulit, sügavusega 34 cm. ja varustatud hinnasildi hoidjatega. Breeze on varustatud valgustusega ülemises osas, automaatse sulatusega ning automaatse kondensaadi aurustumisega. Perforeeritud tagasein on roostevabast terasest 304. Külmriiul on saadaval oma agregaadiga või ilma agregaadita. 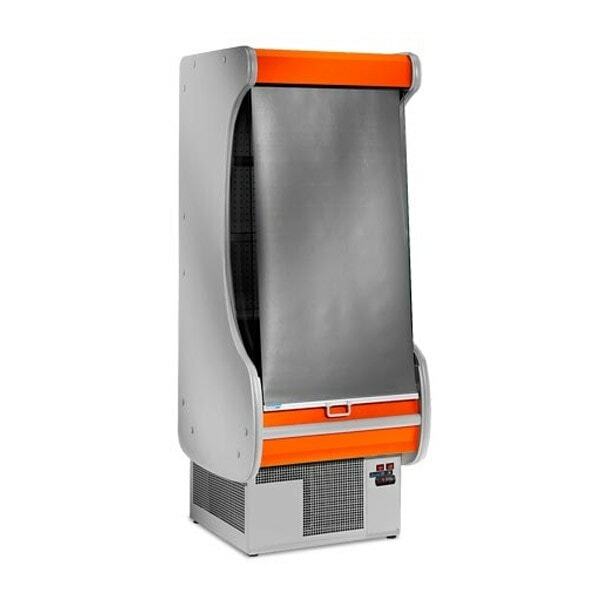 DANNY is a refrigerated wall cabinet for self service sale, created for small and medium size shops, ideal for promotional sales for displaying: pre-packaged food products, dairy products, sausages, fruit and vegetables, soft drinks. 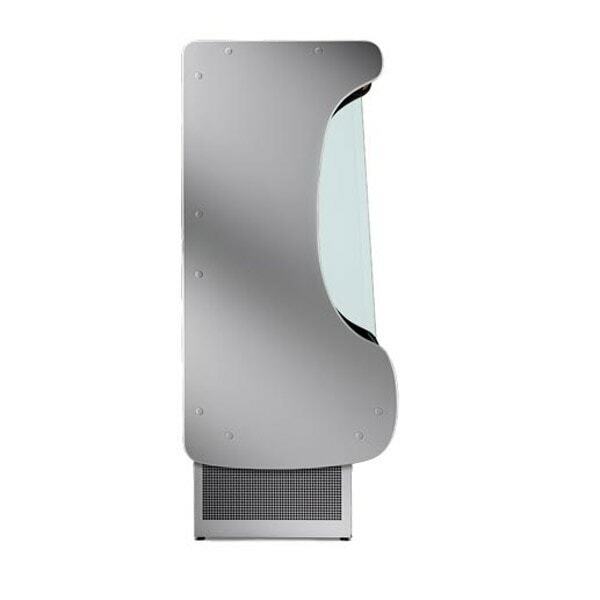 Both versions are equipped with 3 shelves in stainless steel AISI 304 with a depth of 34 cm. and equipped with price-holder. The wall-cabinet is also equipped with lighting only on the top, automatic defrosting and electric evaporation of the defrost water. Perforated back wall in stainless steel 304. It is available with inside condensing unit or without condensing unit. It is not multiplexable. 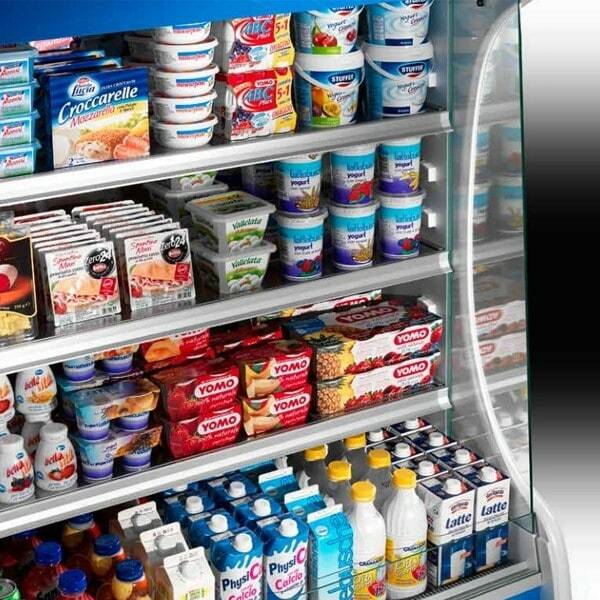 LIGHT is a refrigerated wall cabinet for self service sale, created for displaying: dairy products, soft drinks, packaged food products. 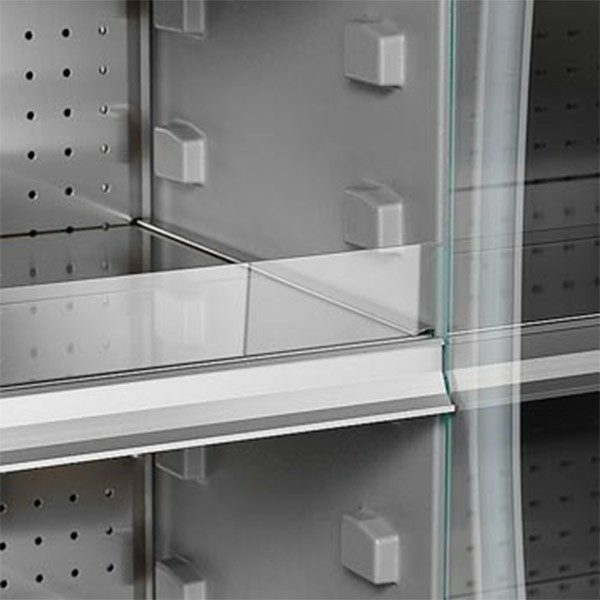 As it is only 545mm depth, the refrigerated wall cabinet is suitable for shops whit a small room capacity. 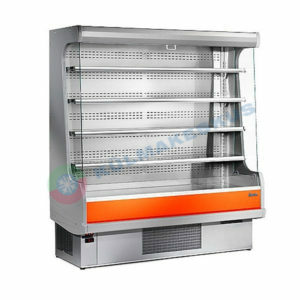 This model has 3 refrigerated inclinable shelves of stainless steel 304 with price holder, with LED lighting on the sides, automatic defrosting and electric evaporation of the defrost water. It is available with inside condensing unit or without condensing unit.